I’m gonna show you the 5 ways to accept credit card payments on your website. The options I’ll share with you includes setting up payment pages, payment links and invoicing tools and I’ll introduce you to the specific options that are available to you, to accept payments on your website. Now, some of these options are paid, and others are free. Some require programming integrations and others require none. There are more than a handful of ways to do this so the solution that fits your needs will depend largely on your technical skills and/or the budget that you have to hire someone to make it happen for you. and with the more robust and customizable options and I’ll show you how to go about setting those up too. HOW? How does it all work? What are my options? Can I put the payment forms ON my website or does it have to be hosted on another domain? What about security, How much does all of this cost? Is there an easy way to just set up a payment page on my website? The answer of course is today’s video. The material I’m gonna share with you today is the result of 1,000’s of conversations that I’ve had with business owners just like you who wanted a clear path and a simple solution to the 100’s and 1000’s of options that are out there. So today I’m going to give you the ONLY 5 ways that you can go about setting up payments on your website. And so you can imagine since I’m giving you 5 categories, they are broad categories but every single option you could choose, will fall into one of these 5. I’ll give you detailed examples of specific tools that I use and recommend, and I’m gonna give you price ranges for these tool and reference links to show you how to set them up. At the end of the video I’m going to give you a checklist that will help you assess the best solution for your budget and your specific business. I’m also going to give you recommendations throughout the video that are specific to each of these 5 categories so be sure to stay tuned for the entire video so you don’t miss anything. You want an easy and seemless checkout process because the easier it is for your customers to pay you the more likely they are to actually buy something from you. So here’s the 5 ways in order of preference btw… ,,,, not necessarily cost to implement, but order of preference and functionality and ease of use for the average business owner. 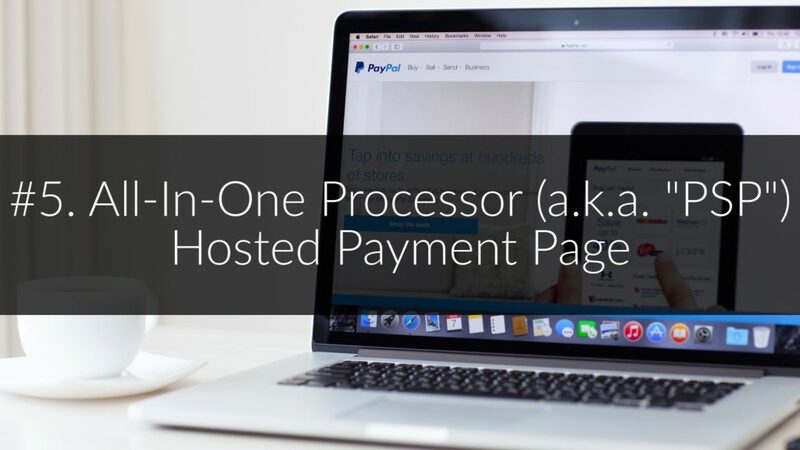 And all in one processor is also known as a Payment Service Provider and examples are Paypal or Stripe and this option gives you the ability to generate Payment Buttons that can be added to your website. Setup is simple to do. Both Paypal and Stripe are free to set up. Simple “Buy Now” button generators are available with both of these payment service providers and you can take the code and place it in your website editor. And here’s an example of what it looks like with PayPal. The way you set this up is to go into the your account dashboard and go to the Payment button generator and go through the process. It’ll give you a piece of code that you can insert into your website editor of choice like WordPress or Wix for example. Well, let’s say you use Stripe to generate the Pay With Card button…, this is a feature that is exclusive to STRIPE so you need to use their merchant account option in order to accept the payment… So that’s one thing to keep in mind because Stripe rates and fees (as well as Paypal’s fees) come at a bit of a premium when comparing it to true merchant account pricing. This solution is really geared toward the DIY’ers out there so if you’re someone who prefers hands on, and likes to do things yourself this is a great option. the overall cost for this for this, since Paypal and Stripe are free to set up, is simply your time to build your payment buttons within each account and insert them into your website… and make sure everything is working properly. True merchant account providers by the way are companies like Cardconnect, First Data, Chase, Elavon, Vantiv, iPayment and hundreds of others. They are different from Paypal, Stripe and Square who are Payment Service Providers (a.k.a. PSP’s) and not true processors. The best way to understand what a Gateway does is to think of it exactly as it’s described because it’s appropriately named. It’s literally a virtual “gate” or a “door” that cardholder data needs to pass through in order to process a credit card transaction online. So in this simple diagram, you have your website, and over here you have the processing company, and right in the middle is the Web Gateway. It’s a software tool that passes credit card information from your store (or your online payment page), to the processing company and back again. It’s an essential part of the online credit card payment transaction flow. So with the hosted payment page option, the payment page itself, is managed by the gateway provider and is offered by web gateways like Cardpointe, Authorize.net, and NMI.com, along with many others. I’ll link up to a samplee of a hosted payment page in the description so you can see what it looks like live in your browser. A sample of a hosted payment page by the CardPointe Gateway. So this is a wordpress website and I’ve built this page with the built in WordPress Page Editor. When your customer clicks on it, it takes them away from your domain, over to the Gateway hosted payment page (on a different URL) where the customer enter their information. You don’t have to customize ANYTHING. It’s an off the shelf solution and you use it as is. Security liability with this option is managed by the payment gateway and no cardholder data is ever stored on your website. So the fact that it’s managed for you is both a benefit AND is a drawback because you cannot control the thank you page or the confirmation page that your customer sees after they pay you so that really limits your ability to make this part of a marketing workflow. Now, this is probably the most customizable option that we’ll cover and because it’s custom, it’s easily the most expensive option that we’ll talk about too. 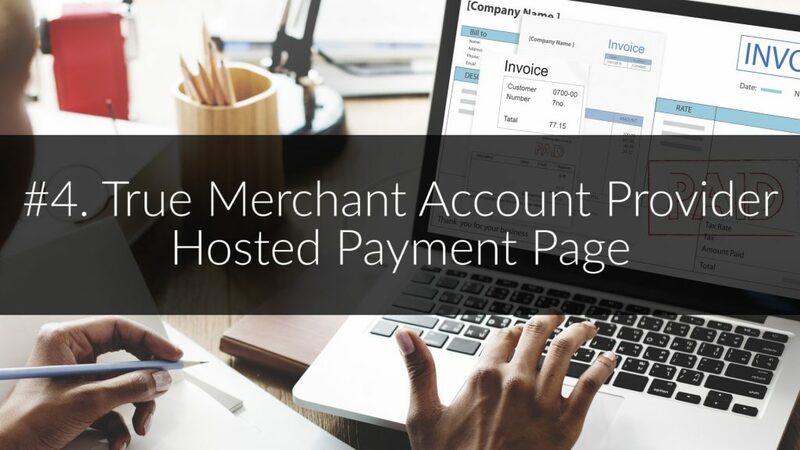 Functionally, the custom pages that you have built, integrates a true merchant account option with the use of a payment gateway like we just talked about and the API is a coding language that a developer will use to transmit data back and forth between your website and your customers and the merchant account processor. A custom payment page can follow the look and feel of your own website and a big appeal to this option is that the customer never leaves the experience of your website. You can control the thank you page of course and with this option, you will want to have an SSL certificate installed on your web domain for buyers peace of mind and so you’re doing your part to avoid any data breaches. I’ll link up in the description to the top to SSL Certificates that I use and recommend to my clients. These are online stores! Similar to amazon.com where your customer can pick and choose and customize their order straight from the functionality of your website. 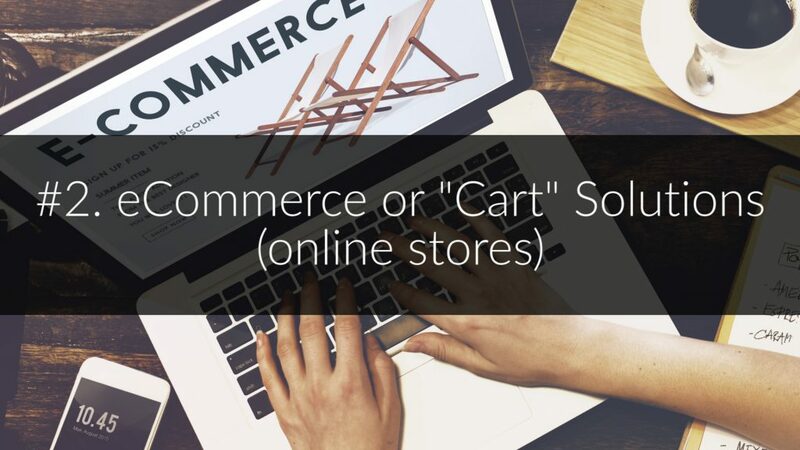 Examples of ecommerce structures are: WooCommerce, Shopify, BigCommerce, or ZenCart along with about 15 or 20 other commonly used platforms. Finally, with secure plugins for most of these ecommerce platforms, you’re setting up a secure options so you’re minimizing risk of a data breach, thus keeping your customers cardholder data safe! WooCommerce is among the most popular if you’re not familiar it’s an open source WordPress plugin. This link is in the description. 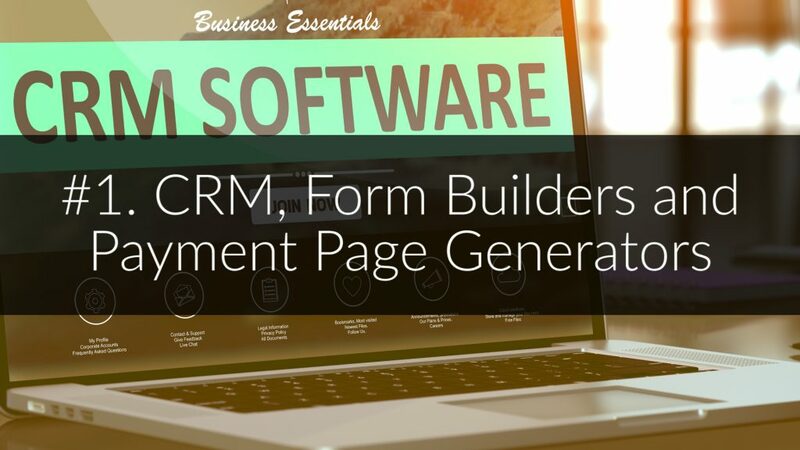 The MAIN benefit to this option (and why it’s my number 1 pick) is that the software tools that fall into this category are able to be customized to integrate directly into a customer experience workflows. In other words, they can easily be part of a marketing campaign where after payment data is captured and a purchase is made, the CRM or software tool can trigger a series of events such as a thank you email sequence to further enhance the customer experience. Examples of these subscription based software tools are: SimplyPay.me, Infusionsoft, Thrivecart, Formstack,, Zoho and Wufoo… and many, many others… Just like the ecommerce options there are LOTs of them available to you. 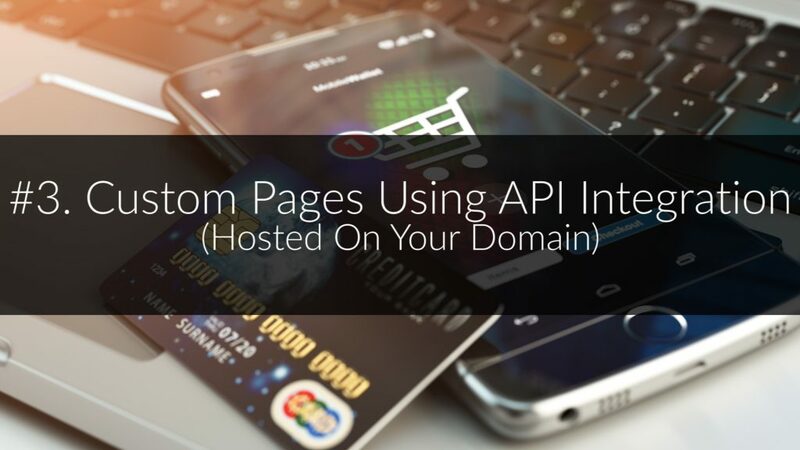 Each of these tools mentioned can allow integrations with Paypal, Stripe and merchant account gateway options but not necessarily all three. It depends on the tool in question so that’s something to consider when selecting a tool for your business. So to demonstrate this process I’ll use the payment page builder and invoicing link tool called SimplyPay.me and it’s just 3 simple steps. 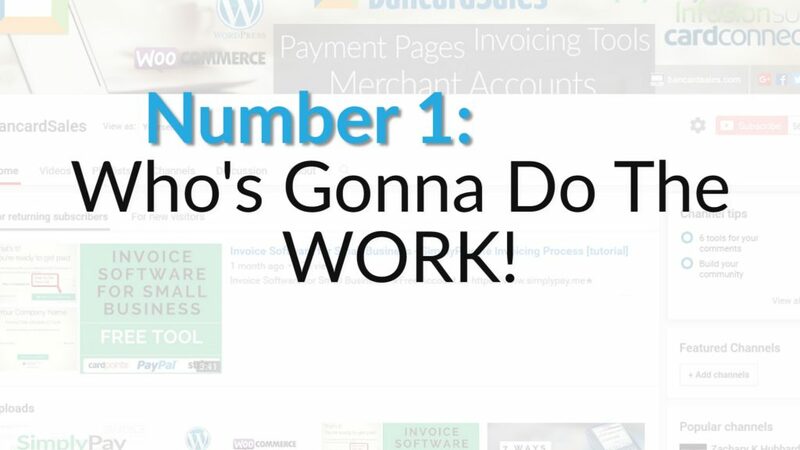 Number 1: create an account and connect your Stripe or CardConnect merchant account. Step 2: is to Create your payment page with the built in page creator, assign your product name and type in the dollar amount of your product.. Step 3 is to just grab your payment links and send them out to your customers or embed your payment for into your website. I’ll post sample links in the description so you can see what these pages could look like if you choose to use these tools for yourself. 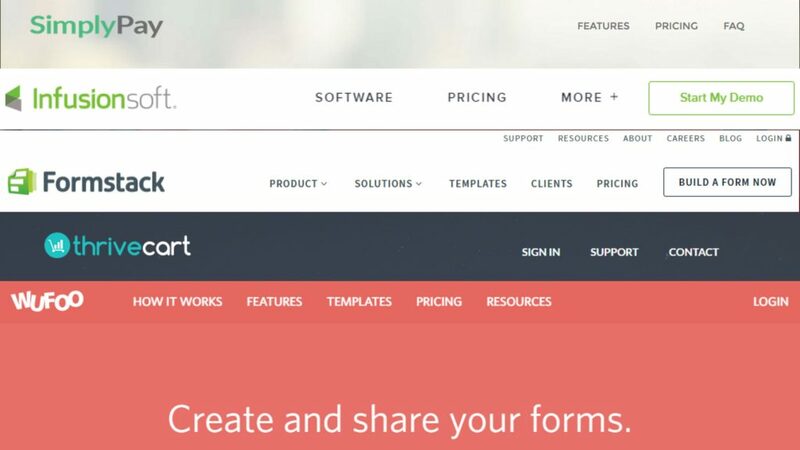 Most of the tools in this category range from 19/month to a couple hundred and they Can get into the thousands per month for enterprise level solutions like ExactTarget for example. So that’s the 5 ways to accept credit card payments on your website and as I mentioned, any solution that you consider will fall into one of those categories. So the big question is: which option is right for you? Here’s a couple of questions to ask yourself to determine that. #1 – First decide who’s going to implement the solution? Is it going to be You… your internal staff or an outsourced development team? 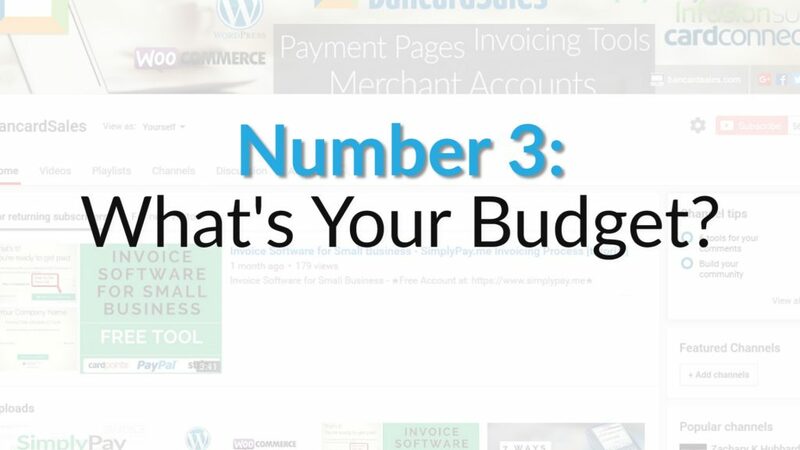 #2 – What’s your budget? How much do you have to spend a solution that works for you? Decide which tools you want to use and which ones you have the budget for. Some of the tools I’ve referenced here are hundreds of dollars per month and some are FREE to use. So as you implement what’s right for you now, it could change as your business changes and evolves. #3 – and again the final questions is one I’ve already asked, which is to most importantly to decide which set of tools are going to provide your customers and clients with the best buying experience that you have the ability to set up right now. Remember an easy buying experience is ideal. If you have questions about how to set up any of the payment methods mentioned in this video there’s links in the description to all of the resources mentioned in this video. Also check out the other videos I have posted on the channel for detailed description and screenshare tutorials on how to set-up the specific tools mentioned. If you found this helpful, be sure to like, share and subscribe to the channel for future payment processing and software tool reviews. If you’re new to the channel, I publish weekly tutorial style videos that are on the topics of making the process of collecting payments and getting paid, simple, and efficient. 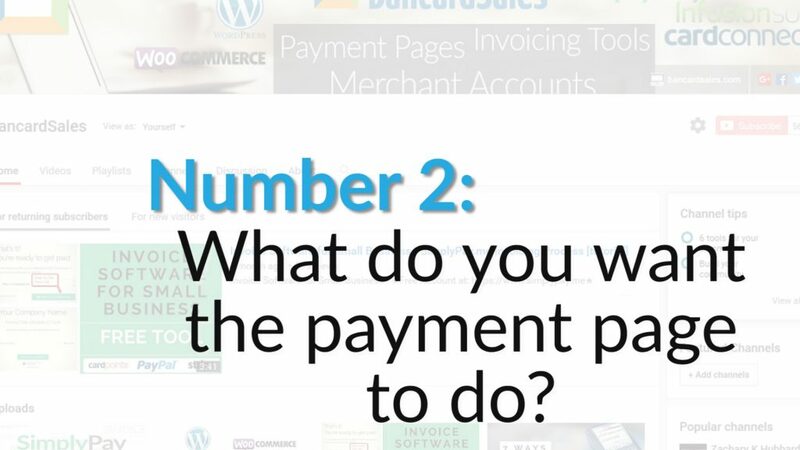 Topics include Merchant accounts, payment page builders, software tools and workflows that tie all of them together!